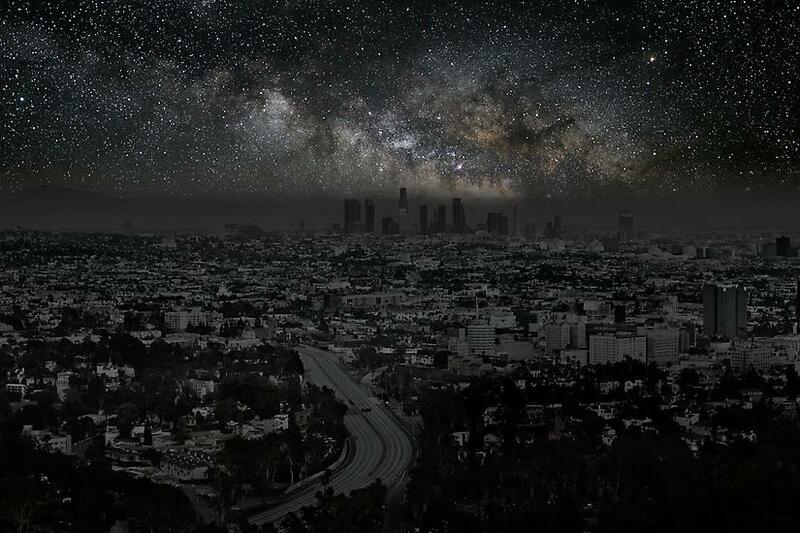 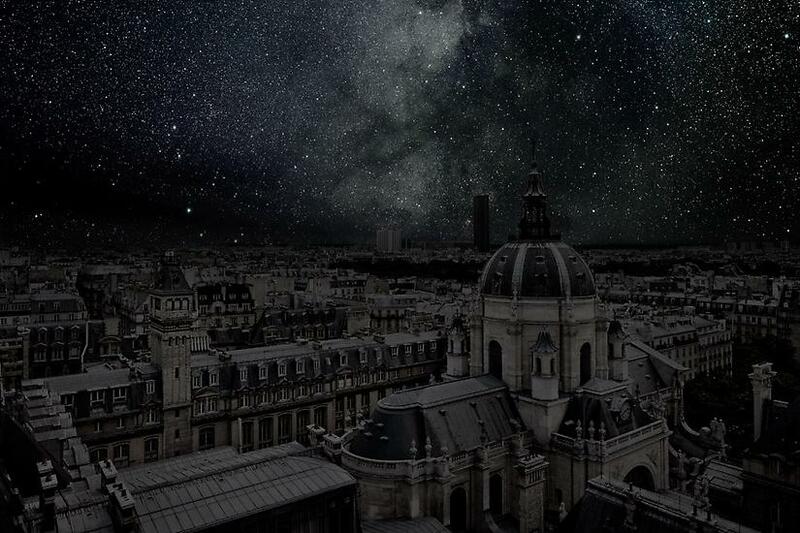 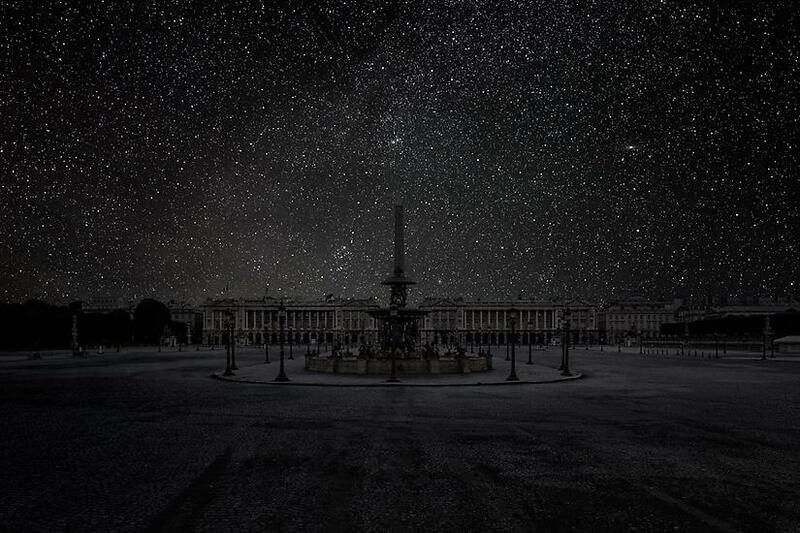 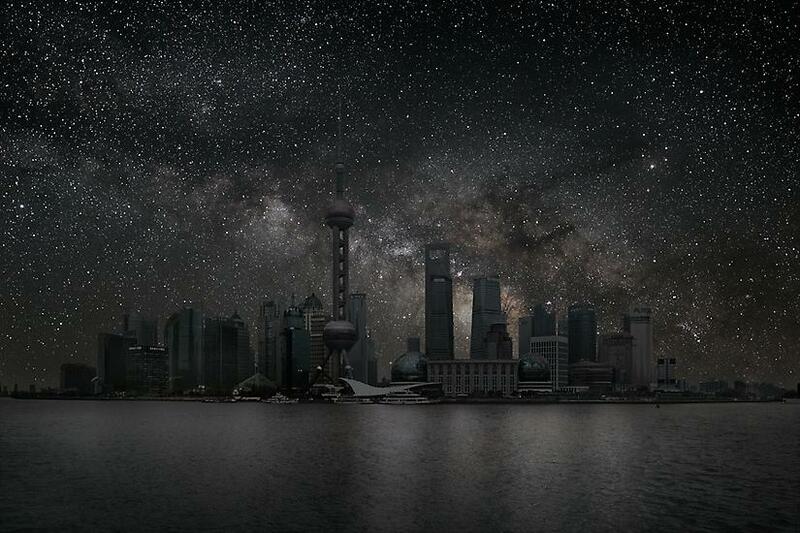 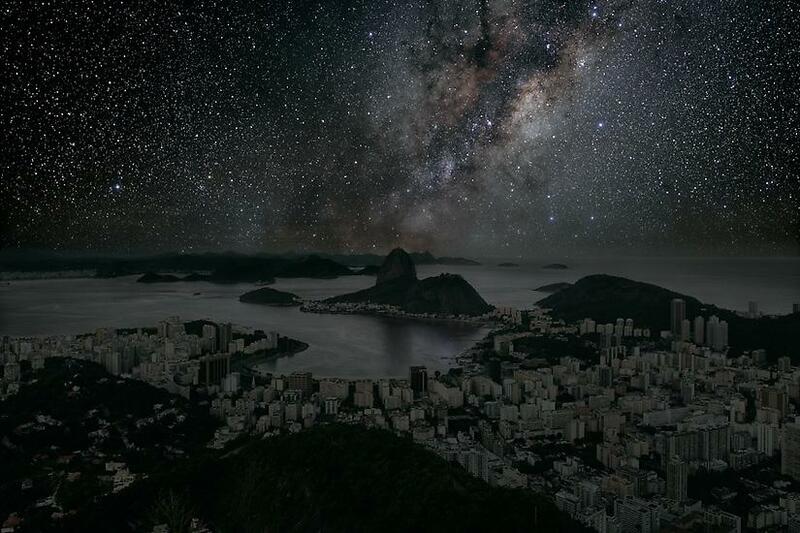 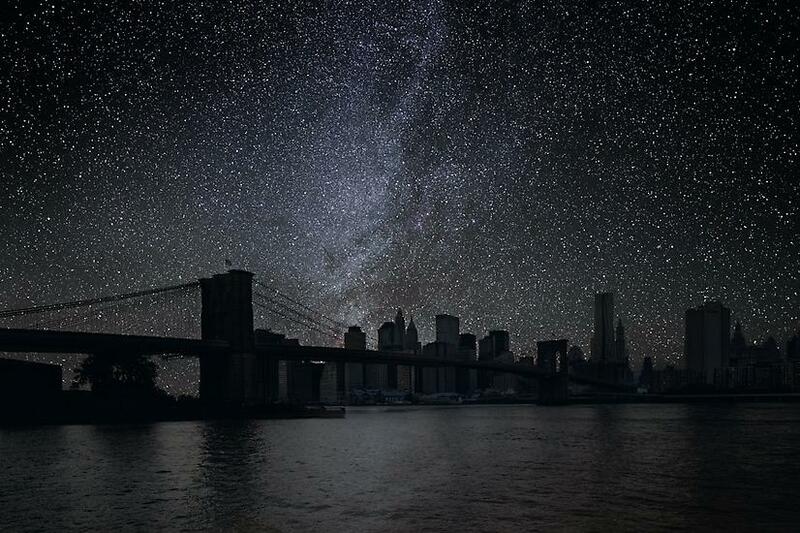 Since 2010 Thierry Cohen has devoted himself to a single project – “Villes Enteintes” (Darkened Cities) – which depicts the major cities of the world as they would appear at night without light pollution, or in more poetic terms: how they would look if we could see the stars. 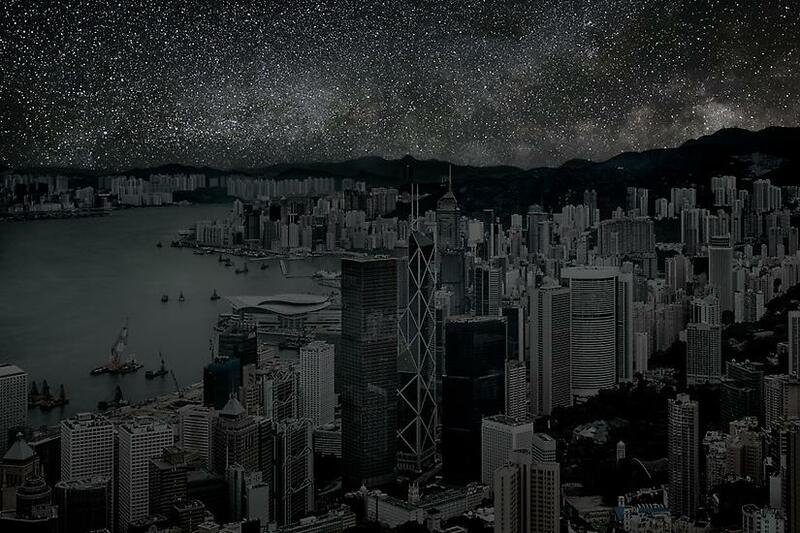 Cohen photographs the world’s major cities, seeking out views that resonate for him and noting the precise time, angle, and latitude and longitude of his exposure. 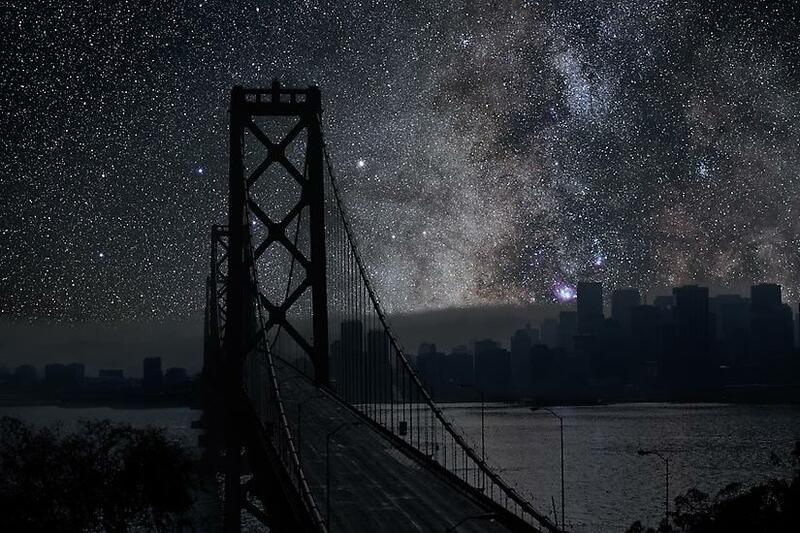 As the world rotates around its axis the stars that would have been visible above a particular city move to deserts, plains, and other places free of light pollution. 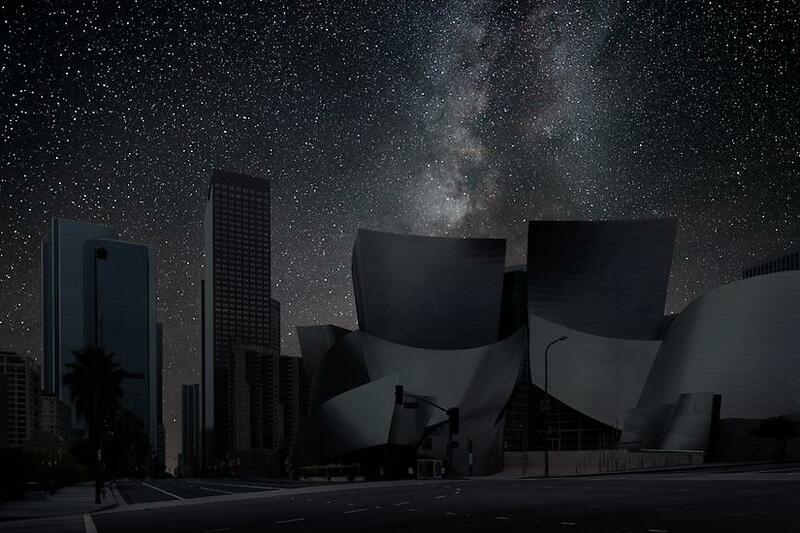 By noting the precise latitude and angle of his cityscape, Cohen is able to track the earth’s rotation to places of atmospheric clarity like the Mojave, the Sahara, and the Atacama desert. 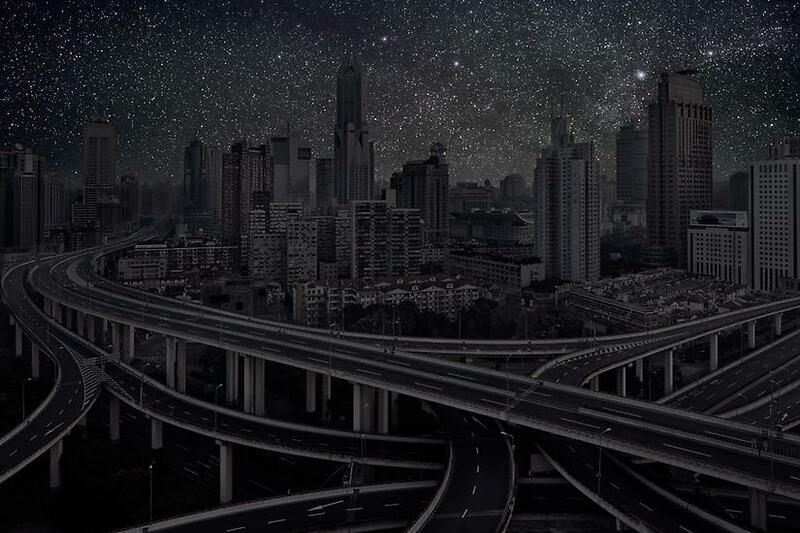 There he sets up his camera to record what is lost to modern urban dwellers.Compositing the two images, Cohen creates a single new image full of resonance and nuance. 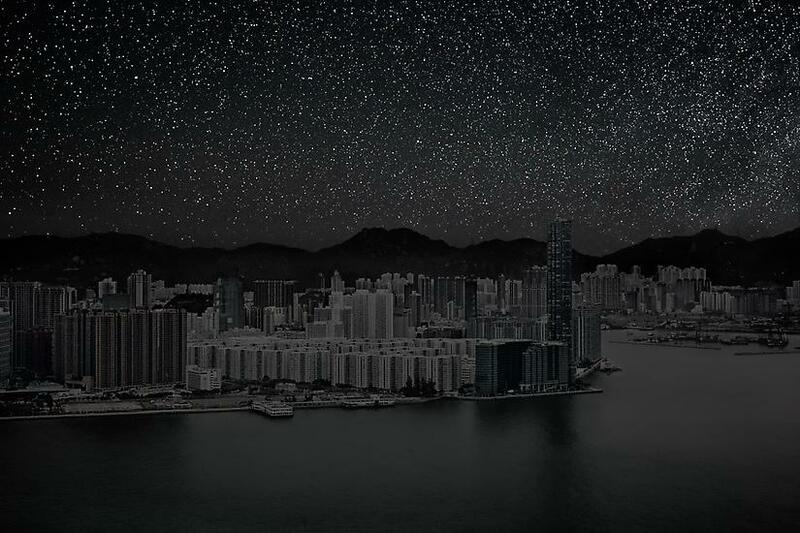 The work is both political and spiritual questioning not only what we are doing to the planet but drawing unexpected connections between disparate locations. 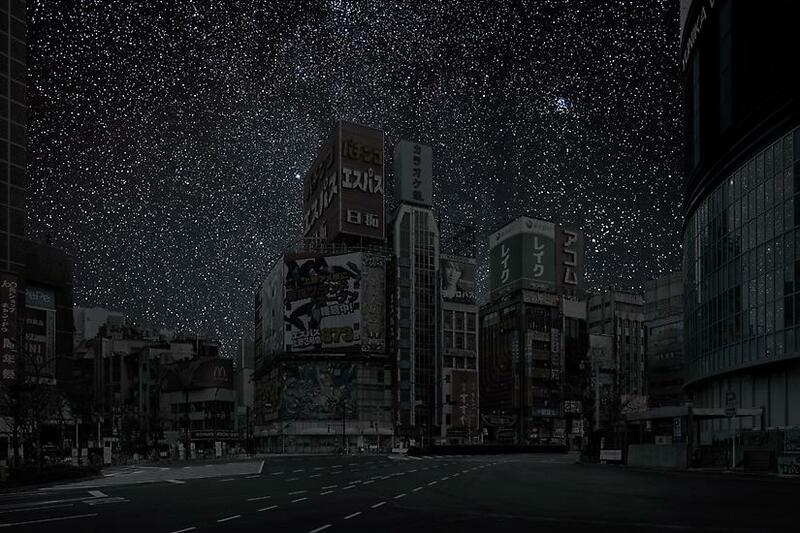 Equally importantly it asks: what do we miss by obscuring the visibility of stars? 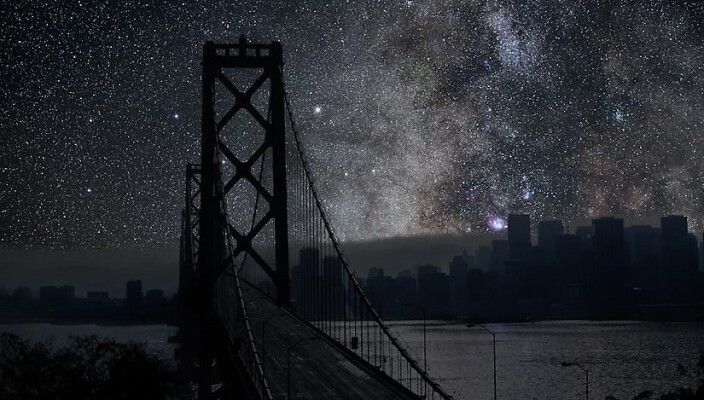 As the world’s population becomes increasingly urban, there is a disjunction with the natural world which both Cohen and science posit causes both physical and psychological harm. 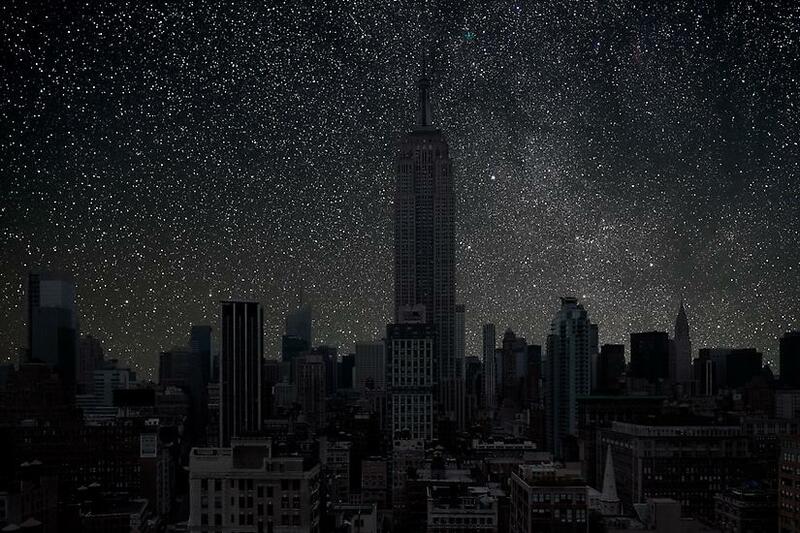 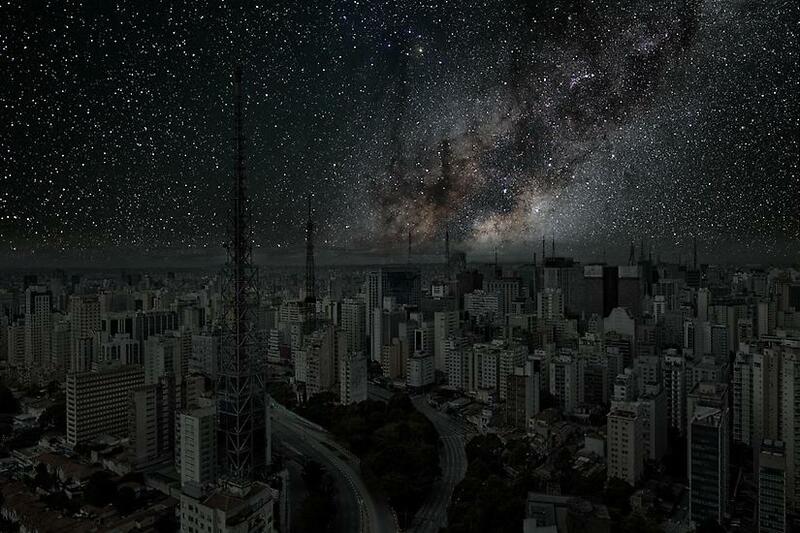 Cities that never sleep are made up of millions of individuals breaking natural cycles of work and repose. 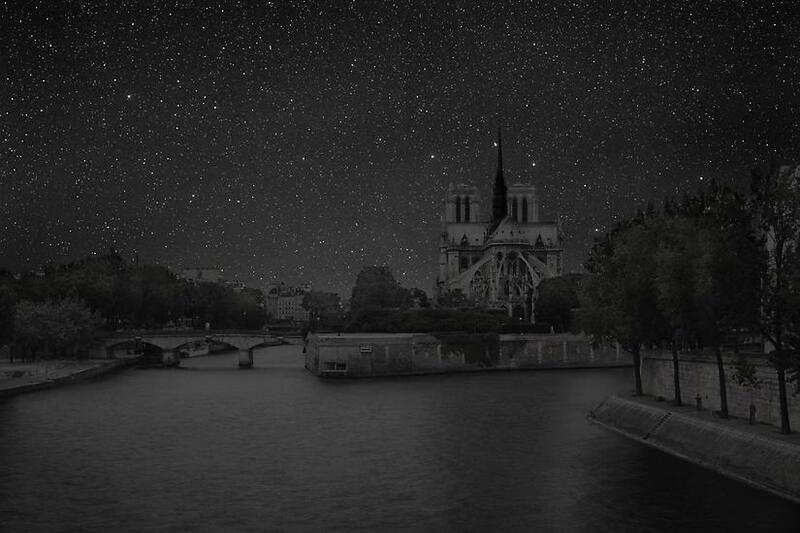 Cohen’s photographs attempt to restore our vision, and in beautifully crafted prints and images offer the viewer a possibility – to re-connect us to the infinite energy of the stars.